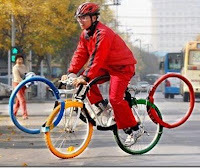 From our good friend Oliver O'Brien are instructions on how to use Barclays Cycle Hire to travel to the London Summer Olympics. It is not as easy as it should be, as there are no Barclays stations allowed at the Olympic Park because Barclays Bank is not the Official Financial Institution sponsor of the 2012 Summer Olympic Games. 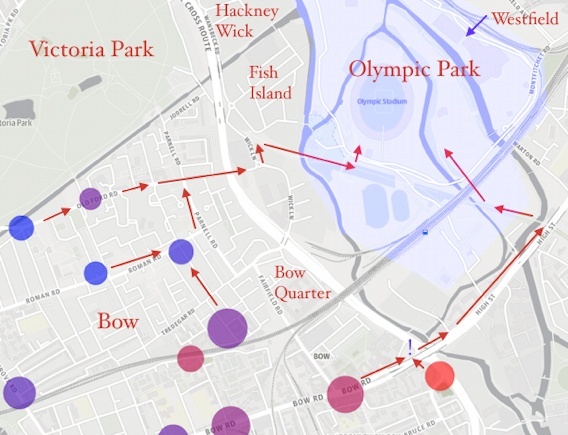 In his "How to 'Boris Bike' To Olympic Park" he also tells which entry gates have the least wait time to get into the Park. Oliver O'Brien is the creator of the Bike Share Maps which are great companions to The World Bike-sharing Map. So if you are in London this week for the Olympics, and you want to bike-share to the games, rely on O'Brien' s tips and Map to get you to the Olympic sites. 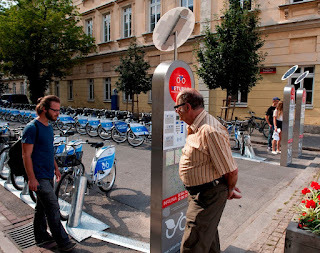 As mentioned in the last week's post, Warsaw, Poland began Veturilo -- Warsaw Public Bicyles on August 1, 2012. Veturilo means vehicle or transportation in Esperanto. The name was picked through an internet contest. Initial reports indicate that over 7,000 subscribers have registered in just a few days. It costs 10zł ($3 US) to register with no expiration date. The first 20 minutes of usage is at no additional charge. Between 20 minutes and one hour, the cost is 1zł (30¢ US). The next hour is 3zł (90¢ US), the third hour is 5zł ($1.50 US), and each additional hour costs 7zł ($2.10 US). Veturilo is part of the nextbike system. 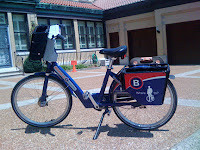 This week the City of Nashville, Tennessee announced it will begin a new automated 3rd generation - 200 bike, 20 station - bike-share program with B-cycle this fall. What makes this interesting is that Nashville has a successful 'no fee' 1st generation system, Nashville GreenBikes, which is to remain in place. This could be a great opportunity for Nashville to emulate some European bike-share cities which have both subscription short term bike-sharing (VLS - vélo libre service) and long term municipal bike borrowing (VLD - vélo location longue durée). With VLD, residents of a city have the opportunity to borrow a bicycle at little or no charge for a term of one week to one year. There is generally a refundable damage/theft deposit and in some cases the terms are renewable. The borrower is totally responsible for the bicycle and maintenance during the term. 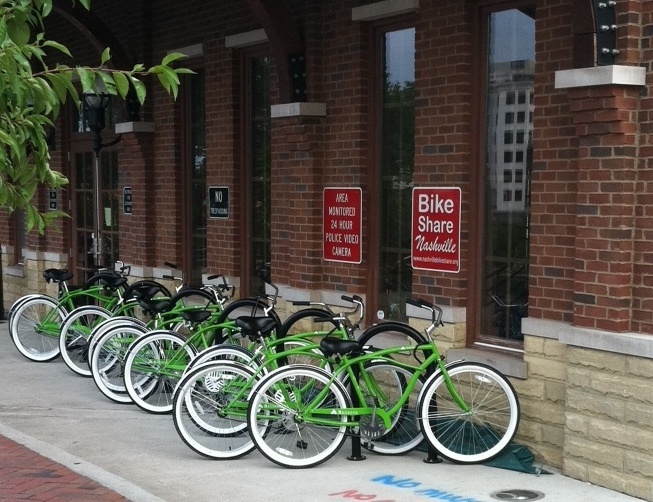 These bikes are not part of the short term system and cannot use the docking stations. The idea behind these bicycle loans, as in 3rd generation bike-sharing, is to facilitate bicycle-use for transportation. VLD is also viewed as an entry into bicycle ownership for those who initially cannot afford it. 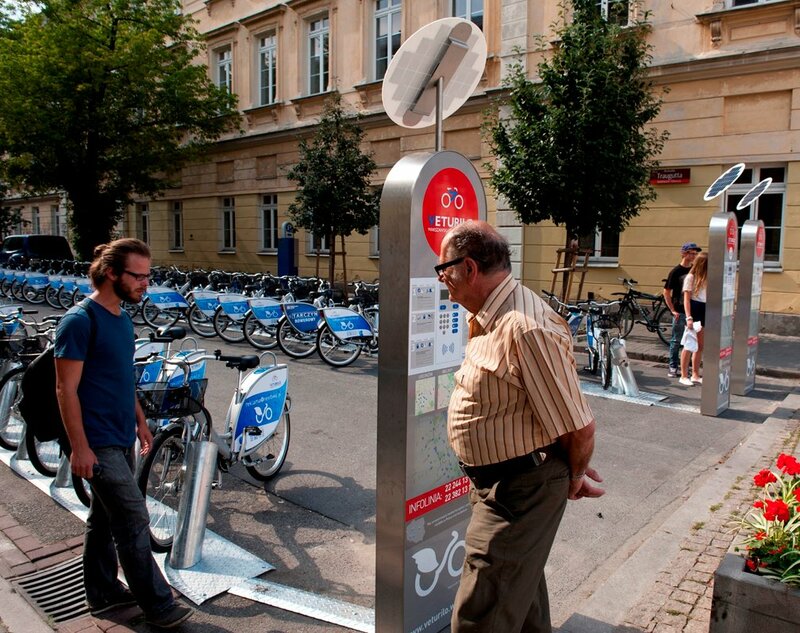 A February 2012 article in The Bike-sharing Blog wrote about the Bordeaux, France VLD program, Bicycle City of Bordeaux. This was to be the first week of the New York City bike-share program, Citi Bike. New York's ciclovia, Summer Streets, would have showcased the new system. The stated launch date for Citi Bike was July 31, 2012. The anticipation in North America was great. As the first really large program, New York was to have 10,000 bikes in 600 stations in its first year. However, in mid-July, the The New York Times reported Citi Bike would not start as scheduled. 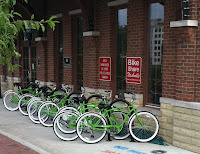 In Chattanooga, Tennessee, the Chattanooga Bicycle Transit System, using the exact same equipment and software as the New York system, also operated by Alta Bicycle Share, is up and running and has been for almost two weeks. The software seems to work there. To add to the confusion, The New York Post alluded to "inside information": one insider said the program might be shelved until next spring if the delay reaches late October. “No one wants to do this in November,” the insider said. “You’d be looking at Spring .” The Post quotes a source saying that Alta Bicycle Share has asked the lead sponsor to accelerate payments of $3.5 million in case the program is delayed until next spring and runs out of cash. For all of us expecting New York bike-sharing, this is all very curious. But take heart, if you are in New York City for Summer Streets, a vacation, for business or resident, you can satisfy your bike-share desire by using Decobike in Long Beach, New York, which is just east of Brooklyn. It is a quick train ride there and it's on the ocean. You can enjoy the bikes and beach!